Because who wants to spend their weekends in shops? If the last few seasons have taught the menswear world anything, it’s to forget everything you thought you knew about the short-sleeved shirt. This example by British brand Farah gives the once-maligned piece a modern makeover, with a pinstripe print, relaxed fit and on-trend Cuban collar. Don’t get us wrong, we love an ‘ugly’ trainer as much as the next set of guys, but some days call for something a little more muted. Enter: the Adidas x Pharrell Williams Hu Holi NMD Blank Canvas, which has all the premium materials and cushioned soles you’d expect from the brand, but rendered in neutral tones that will still go down a treat on Instagram. A solid grooming regime doesn’t just cut into your shelf space, it makes a hefty dent in your wallet, too. Avoid splashing out on snake oil with Mr Porter’s Restore Kit. It packs 12 mini products from the likes of Malin and Goetz, Haeckels and Hanz De Fuko, so you can find what you like and then re-stock accordingly. Right after ‘baggy’ (and not in the good way), the last thing a guy wants his tailoring described as is ‘dull’. So opt for the opposite with this form-fitting gold suit from Topman. The bold colour steals the show without being too garish, while the skinny fit will show off everything you’ve been working towards in the gym. Make 2018 the year you turn your denim green. Not like actual green, just planet-friendly green. 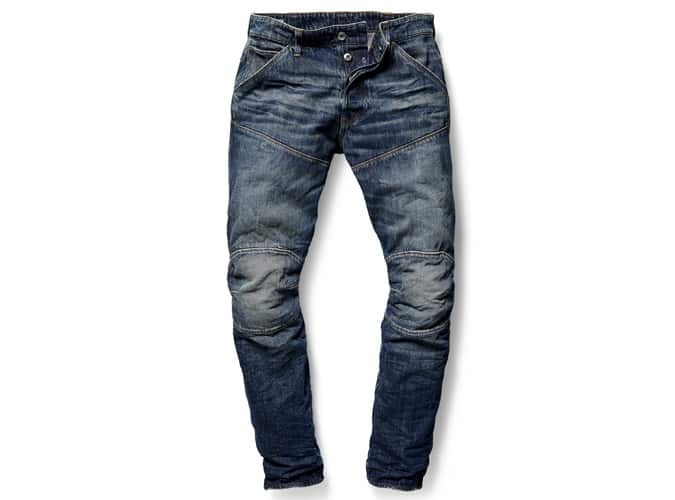 G-Star Raw’s new Elwood jeans have been recognised as some of the most eco-friendly in the world, cut from 100 per cent organic cotton that has been through an environmentally-conscious dyeing process. Hands up if you have a pair of black, navy or tan Chelsea boots in your wardrobe? That’s all of you, then. Shake things up and stand out from the crowd by getting a new pair in a shade that’s less ubiquitous but just as stylish. And by that, we mean these smart stone suede options from River Island. Utilitarian menswear is having a bit of moment, so don’t be left behind. This long-sleeved shirt by Australian boot firm R.M. Williams, which has coincidentally just opened a store in London, ticks all the boxes. Durable cotton moleskin body? Check. Sturdy twin needle finishing? Check. Double chest pockets? Tick tick. The marketing whizzes over at Redken really know how to catch a bloke’s eye: package shampoo in a bottle that looks like beer. The brand’s deep-cleansing formula is bolstered with Brewer’s Yeast and Orange Zest to clean and strengthen locks, leaving your barnet glossy and soft. Wash responsibly. With winter on the way out, pretty soon your wrists will be free from the shackles of long sleeves – so you better make sure they look good. This simple cuff from cult Parisian brand A.P.C., crafted in Italy from silver-tone brass, is a good place to start. Aside from a cheat day that lasts all week, stylish workout kit is one of the few things that can make getting fit tolerable. But before you spend a month’s rent on some Lycra to pour yourself into, check out the first ever activewear collection from e-tail giant ASOS. Dubbed 4505, the range contains everything you need. Well, not motivation, willpower or actual fitness knowledge, but cool stuff to wear at least. Before we can all enjoy the sun-soaked days of summer, we have to endure the torrential downpours of spring. Protect yourself in the most stylish of ways with Herschel’s Voyage Coach jacket. The clever cover can be folded up and stowed into an internal storage pocket and comes in a range of eye-popping patterns. For over 100 years, Acqua di Parma has epitomised elegant gentlemanly grooming. This handy travel set includes an aftershave balm, bath and shower gel and deodorant that packs the Italian brand’s sought-after Colonia scent to bring a touch of refinement to your hand luggage. Our #WomanCrush this week is Lady Liberty, and it’s all thanks to this graphic print T-shirt. Aside from freedom and democracy, the street-ready wardrobe staple celebrates the history of Nike Air, which recently turned the big 3-0. For most guys, purple has been on hold since the whole Jack Nicholson as the Joker thing, but as well as being the colour of 2018, it’s the perfect way to get on board with fashion’s retro revival. We’re particularly fond of this sporty crew neck sweatshirt, a collaboration between Champion and Urban Outfitters. Just like bowling shirts before them, bowling bags aren’t just for Fred Flinstone. The first menswear collection from leather goods brand Fiorelli includes this handsome carrier, that could work for the gym, the office or, indeed, the alleys. Ste-rike. Upgrading your wardrobe needn’t cost the earth. Take this imitation leather jacket from H&M: It’s got plenty of detailing, from the diagonal zip and quilted shoulders to the side pockets and zipped cuffs, but still comes in at under the cost of a night out. When it comes to off-duty dressing, few pieces can claim to be a go-to garment like the hoodie. Custom-knit from extra-long staple cotton for a more durable finish and lined with moisture-wicking French Terry, this example from Arket is hard to resist. Some itches take seven years, others happen straight away. 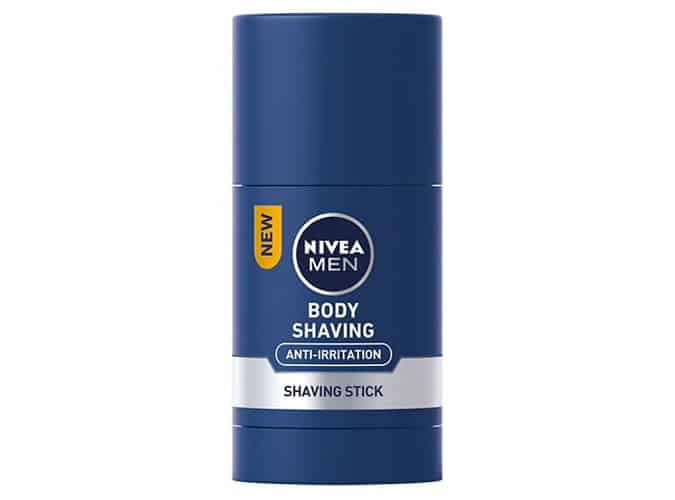 Avoid the dreaded post-shaving irritation with Nivea Men’s handy new stick. Fortified with aloe vera and pro-vitamin B5, not only will it protect your skin from burning or reddening, it’ll save you precious minutes in the morning, too. Channel your inner James Dean but add a modern twist with this preppy varsity jacket from BoohooMan. With contrasting sleeves, a faux shearling collar and sporty cuffs, it’s a cool, lightweight choice that won’t cause you to overheat once the cooler days of spring arrive.